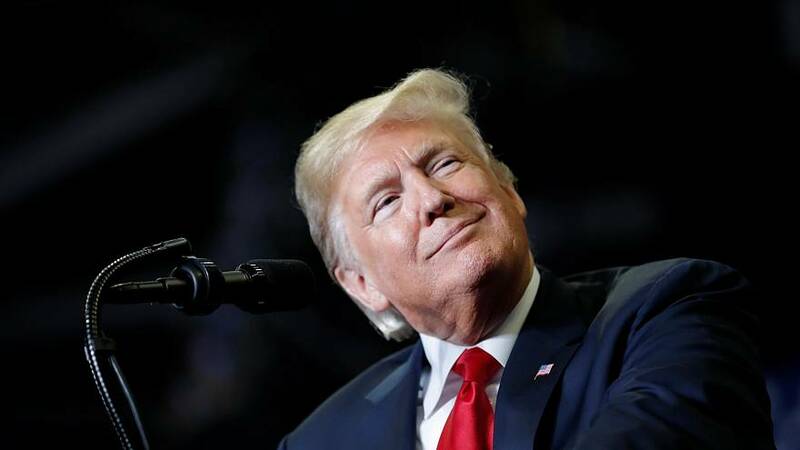 US President Donald Trump spoke from the White House after his Republican party held on to the Senate but lost control of the House of Representatives in the midterm elections. Despite losing the House to Democrats, Trump called the election a "tremendous success". Republicans "defied history" in spite of dramatic fundraising disadvantage, he said in his opening comments. He also compared his result to Obama's first midterm election after taking office, in which he said the ex-president lost six Senate seats, including in the traditionally "blue" state of Massachusets. Trump also highlighted a "slew of historic wins in the governors' races", singling out Georgia where Oprah Winfrey campaigned with Stacey Abrams, the Democratic candidate for governor, and lost narrowly to Brian Kemp, her Republican counterpart. "I have a lot of respect for her (Oprah)," he said, "but unfortunately she didn't do the trick." Of the opposition, Trump said: "I don't agree with them (Democrats) on policy, but I do agree on them sticking together." As his speech drew to a close, the president said his loss in the House opened a "much easier path" and invited a "beautiful bipartisan type of situation". During the press' questions after his speech, Trump's turbulent relationship with some media outlets was evident. At one point Trump yelled at reporters to "sit down". What does the midterm result mean? The Democrats' majority in the US House of Representatives was their first in eight years. It means the Trump presidency — which already had no free rein despite a Republican-led chamber — will face a significant challenge, setting the tone over the remaining two years. Democrats will gain control of all the influential House committees, which, until now, had been in the hands of Republicans. Watch the full press conference in the player above.